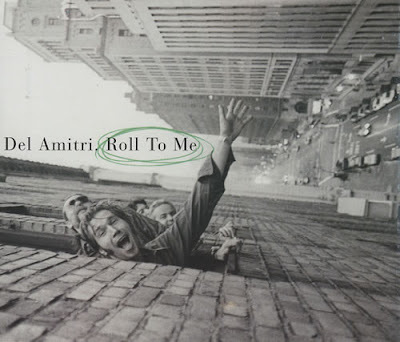 Like Change Everything , the following Del Amitri album, Twisted , contributed many of its non-album b-sides to the Lousy with Love compilation, so this brief installment consists of only five songs. There are some other, live tracks that appeared on singles and a limited edition bonus disc, which will be posted in a whole big "live" segment later on in this series (which I probably shoulda mentioned in the Change Everything post, since there were a few live tracks on those singles, too). Meanwhile, here are five swell little tunes from Justin and the lads -- it's Rare Stuff, y'all! Loving loving loving this series! ; ) Thanks again! Gabriel, blow your horn! (Sorry, I bet you get that a lot.) So glad you're diggin' it. Hola David! I've always wanted to visit Argentina. Thanks for the compliment, and you're welcome! All these posts are fantastic. I can't wait for all the live stuff. I salute you sir! :) AND..I sure hope some soundboard stuff comes up someplace of Justin Currie's latest tour..that would be a real treat. 2of3, you ain't bad! (Note to self - must stop joking about commenters names!) ;) I'm with ya, except I'd settle for a good audience recording! I'm bummed I couldn't catch Justin's tour this time as he didn't make it up to this corner of the country (NW) and I lacked the funds to go to where he was. I shall have to content myself with the pair of shows I got to see on the WILF tour, and Justin's complimenting my writing -- I wrote a preview of his show in the local weekly, which he discussed on his myspace blog. I was blown away by "A Better Man",great song! and I would have never discovered it if not for your blog,many thanks! and if you would like to visit Argentina, I recommend you to visit Córdoba, it's beautiful. I have been looking for Queen of False Alarms for forever! Thanks!!!! A repost would be really appreciated!